You are here: Home / Book Reviews / New Mutts Book – and Awesome Giveaway! 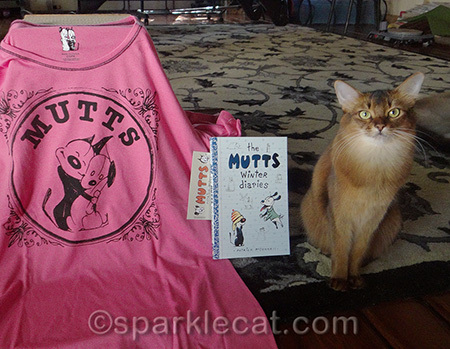 New Mutts Book – and Awesome Giveaway! I’m sure all of you know the Mutts comic strip, and its creator, Patrick McDonnell. Mutts is in over 700 newspapers in 20 countries and a favorite of animal lovers worldwide. Mr. Patrick has won lots of awards, including the Reuben (which is like winning the Oscars for cartoonists), but even more importantly, his comic strip has also won awards for its environmental and animal advocacy. This human has a heart of gold and it shows in the warmth and gentle laughter in the Mutts comic strip, now in its 21st year. The great news is that there is a new book of Mutts comics coming out on October 13! 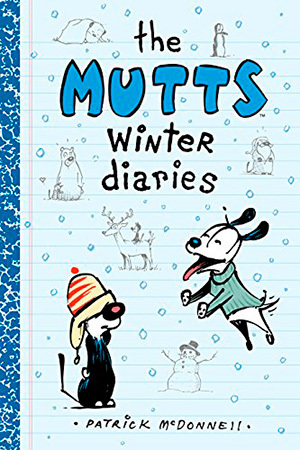 It is called The Mutts Winter Diaries, and it is full of winter adventures starring Earl, Mooch and all their pals. Although it is supposedly for children, I would say it is really for children “of all ages!” This is an awesome book for any Mutts fan and perfect for the upcoming colder months. Especially because there’s a section at the end called “More to Explore” and it has suggestions on helping your local wildlife cope with the winter weather. In advance of the book’s release, the humans who are helping promote The Mutts Winter Diaries sent us a really awesome package! Not only did we get a review copy of the book — we also got a pretty pink sleepshirt made by Richard Leeds International, all nicely packaged! And you can win the same package! If you are wondering how big the shirt is, it says “OSFM,” which means One Size Fits Most, but it’s actually about 22″ across, so it basically fits up to a L, or maybe a small XL. To enter for a chance to win, use the Rafflecopter widget below. Good luck! Disclosure: Along with receiving the sleepshirt and book, we also received a small fee for writing about the new Mutts book. Pawesome giveaway as always Summer, thanks! This is one of the best comic strips, we love what they do to highlight animal advocacy and rights. Summer your giveaways are always pretty cool. Great give away, but I think the shirt is too big for you, Summer. We love Mutts! 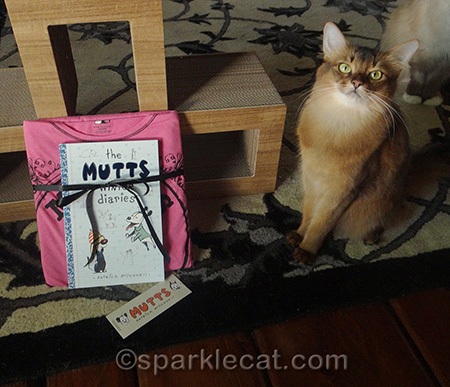 That looks like a fun book, meomwy tries to read Mutts evfurry day! WEâ€™re Muttâ€™s comic fans. I just shared one on FB yesterday. Weâ€™re already email subscribers but it wonâ€™t give me credit unless I subscribe again. Oh well. We enjoy the Mutts comics a lot, though we only discovered them a couple months ago. How wonderful that this book has tips on how to help the wildlife in the winter, too! I haven’t seen the Mutts, but it sounds fun. The sleepshirt is cute. We don’t get the paper so we must be the only people on earth who’ve never heard of Mutts but looks like we need to check them out! I went thru all but Pintarest and instagram which mommy would rather not take up with. I LOVE MUTTS to the millionth degree. Oh man * sheepish look * We need to find out more about Mutts!! 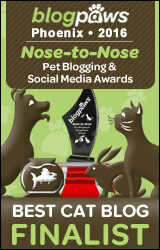 We are sharing a lot Sumner, this is a cool giveaway!! Sounds like a great book to us. Bet it would be fun to read. Great pictures Summer. The Mom must admit that she’s never seen the Mutts comic before… but we don’t get the paper or read comics ever. It sounds really cute though!! Love that they promote animal advocacy. my late mother was a big fan of mutts (the comic). That sure sounds like a great book! 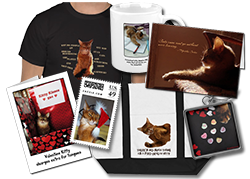 I have never heard of “Mutts” but the cat design looks familiar to me ! I’ll bet those are some really fun Mutts pretty Summer! We love the Mutts cartoon strip. It makes us laugh out loud. I love kitty and his little pink sock, because I have one of those type kitties. We hadn’t heard of Mutts but we sure have now. Looks like a great book and a really cute sleepshirt/tee. What a great giveaway! What a great giveaway. We love Mutts comics. I love Mutts, it is one of the few comics I read daily. I used to get Mutts pajamas at Walmart all the time, but they stopped carrying them. We are *crazy* about Mutts!!! We love Mutts and love that cute sleep shirt! We love Patrick McDonnell and Mutts! He also illustrated a children’s book with Eckhart Tolle called Guardians of Being about how our animal companions help us learn to be compassionate human beings. 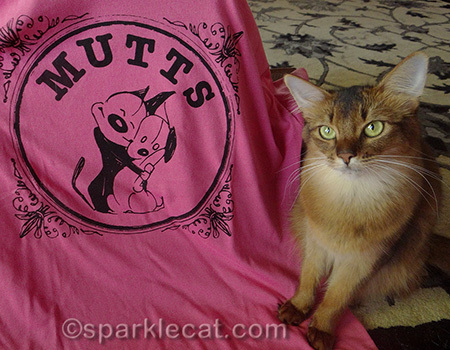 We LOVE Mutts….and that sleepshirt is adorable!! Summer – we hadn’t heard about the Mutts until we saw your name on today’s blog – it looks like a fun book. We love Mutts! What a great book! We have actually not heard of Mutts until recently, but the Mom can’t read the small print of the newspaper, either, so maybe that’s why, MOL. We will be interested to see the comic if we win the book.